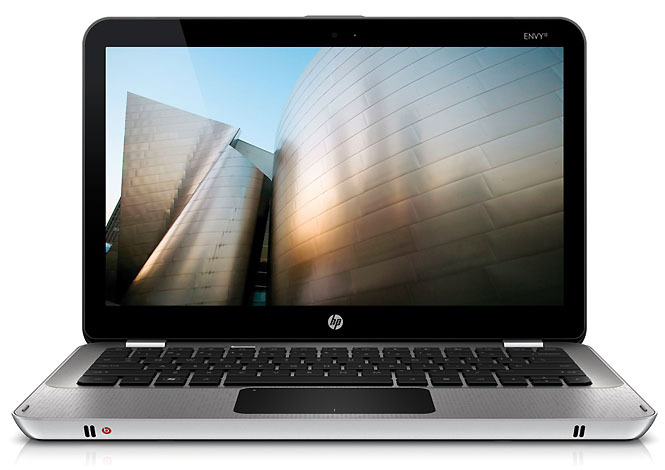 Following on the heels of Dell, computer maker Hewlett-Packard has decided to drop the price on its Envy 13 ultraportable notebook computer to $999 (after a $450 instant rebate), hoping to attract previously indecisive buyers before the company, in all likelihood, begins to roll out new traditional and ultraportable notebooks in 2011. Like the Dell Adamo, the HP Envy 13 was introduced more than a year ago as a direct rival to the likes of the Apple MacBook Air, and features a sleek aluminum case, a total weight under 4 pounds, and measures just 0.8 inches thick. The envy 13 features a Intel Core 2 Duo CPu running at 1.6 GHz, a 13.1-inch 1,366 by 768-pixel display driven by ATI Mobility Radeon HD 4330 graphics with 512 MB of video memory, a 250 GB hard disk drive, and 3 GB of RAM. The system also features 802.11a/g/n Wi-Fi wireless networking, gigabit Ethernet, 2 USB 2.0 ports, and the Beats audio system—although the Envy 13 lacks a built-in optical drive, it ships with an external SuperMulti DVD±RW drive. It ships with Windows 7 Home Premium 64-bit. Both Dell’s and HP’s moves to discount ultrathin notebooks immediately just as the end-of-year buying season concludes may be an indication that both companies are looking to move as much inventory as possible prior to introducing new systems—and with CES just around the corner in January, both companies may be relying on price tags to attract attention.